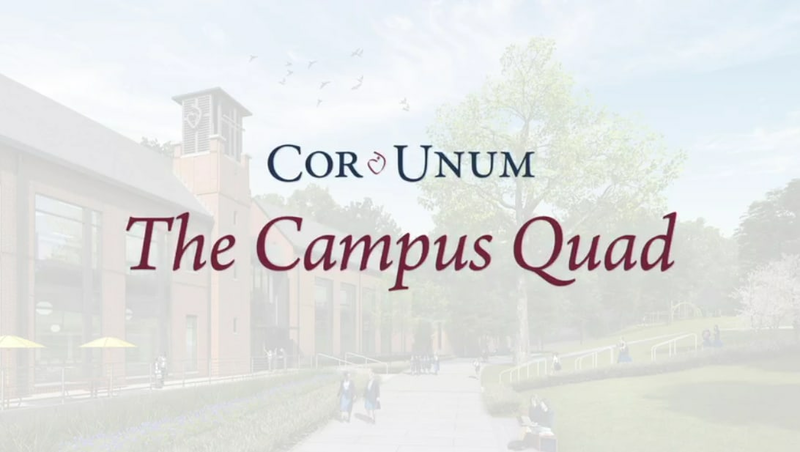 A new Loop Road will create the Campus Quad which has affectionately been deemed the heart of campus, hearkening St. Madeleine Sophie Barat’s motto for the Society of the Sacred Heart – One Heart and One Mind in the Heart of Jesus. The addition of a loop road around the perimeter of campus will enclose the heart of campus as a pedestrian only zone and create a new Campus Quad. Perpendicular pedestrian walkways will unify the outdoor areas between the Lower and Middle School buildings and the Student Life Center and existing Athletic Center. On the landscaped terraced areas, students will gather amongst themselves and with the faculty to exchange their knowledge and gifts and learn in a beautiful, safe, and accessible environment. It is here here students will experience a common sense of place. The newly designed playgrounds, one for each the Lower and Middle School, will provide space for our students to have fun while developing both social and physical skills. Intrinsic to a Sacred Heart education is self-development and personal growth in an atmosphere of wise freedom. Central to this goal, is the individual achievement of a healthy balance in family and social life, good nutrition and fitness habits, and academics.